Some people still don’t realize the difference that a WordPress website can bring to your business. Your website is the most important digital marketing tool in your arsenal. While you and your employees take some downtime, your website is working nonstop. 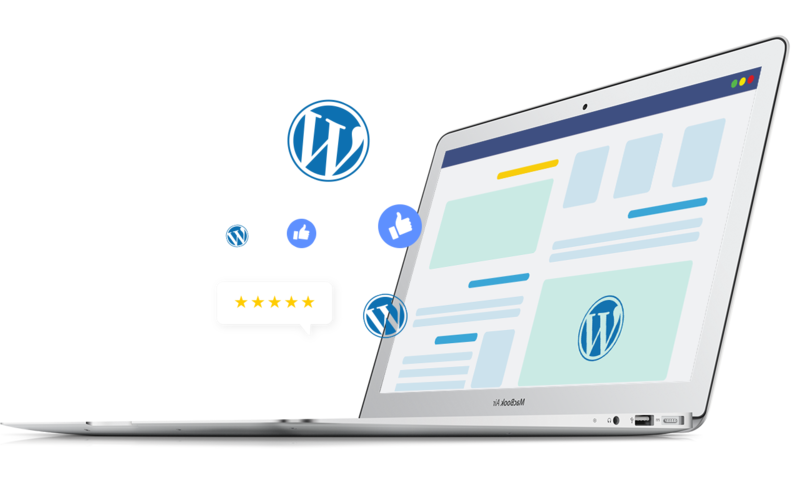 Your WordPress website conveys your story, promotes your business, and sells your products or services twenty-four hours a day, seven days a week. Luckily for you, we’ve spent years creating with WordPress and have mastered the tools needed to complete any job. WordPress has a huge buzzing community behind it comprised of theme, plugin, and core developers. The WordPress software powers 33% of the internet, meaning around 96,000,000 websites! And, it’s growing every year for good reason. There are two methods for creating a WordPress based website: 1) Online web hosting service such as WP.com and OPTe Platforms; 2) Independent WordPress which is self-hosted and assembled. Need an eCommerce website? WordPress can do that. Need a portfolio website? WordPress can do that. Need a simple landing page? WordPress can do that. Need a fleshed out publishing system for a newspaper or magazine website? WordPress can do that too. Thanks to the open source code, and the fact that there are so many powerful plugins, WordPress can fulfill pretty much any website need. Your WordPress website is already set up out of the box to help you with your Search Engine Optimization. The CMS naturally organizes your content into pages, posts, categories, and tags. Your permalinks are set up in an SEO friendly format by default or can be customized however you want. Using Yoast plus WordPress allows us to give your site a search engine boost before the bots crawl your content. OPTe Solutions was built with Divi. Our other websites are built with Divi. And, most of the websites we build for clients are also built with Divi. The Divi Theme is pretty awesome. Divi is a premium theme built just for WordPress. Many WordPress website themes are templates and only allow you to drop in your content. Divi allows us to creatively design however we want, no limitations. This means our creativity shows on all our websites. We highly recommend OPTe’s online WordPress platform to create and host most websites. 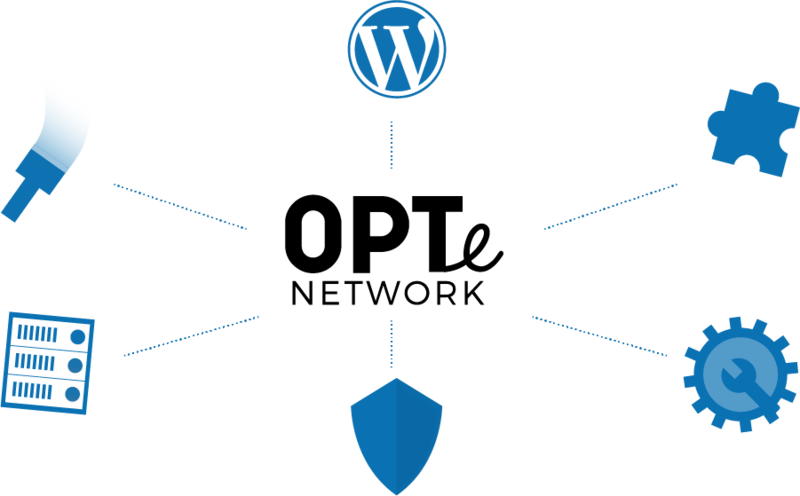 It provides the functionality-features we expect from WordPress while saving everyone from paying ongoing software fees, managing a web server, and ongoing maintenance. This online solution is extremely beneficial compared to the independent method of self-hosting WordPress. You get a fast secure site, feature-rich plugins, Divi Theme, and amazing support 24/7. Did we mention it’s totally maintenance free, forever?! We’re proud of how our in-house product turned out. But hey, we may be biased. Businesses in Cambodia and around the world have relied on our WordPress website design team to plan, develop, and drastically improve their online presence. What are you waiting for to launch your WordPress website? We’d love to blend your ideas with our expertise to create something truly unique. Each of our custom WordPress website projects are kicked off with a meeting to plan out your goals, audience, features, and expectations. The first crucial step is to clarify how users will navigate through your website and what actions they will take. 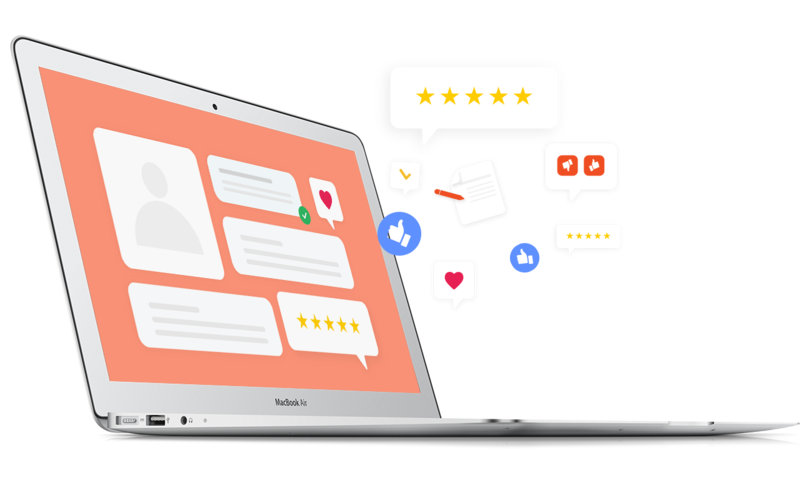 Our designers and wordsmiths then join forces to match your key messaging with the sketch of your sitemap. We believe that all businesses deserve to have their own WordPress website, without having to break the bank. Business budget tight? Our predesigned website design services are there for those who simply can’t afford a custom solution. Keep costs low by choosing one of our predesigned website layouts. There’s one for just about any kind of business. And then, we’ll work our magic, customizing the design to match your branding. eCommerce websites require careful and thoughtful planning upfront. We use WooCommerce, the most customizable eCommerce platform for building online businesses. Having built several successful eCommerce websites, our digital marketing agency makes sure that you don’t have to learn the hard way about choosing the wrong eCommerce solutions or the wrong integrations. Our service plans are offered after completion of your website and provide continuous support for your business online and offline. We provide ongoing, first-in-line priority support and continual improvement services for businesses that want peace of mind and expect results and revenue to improve month after month. Check out the two web service plans we designed to accommodate you. We’re a creative collective fueled by coffee, data, and results helping businesses become digital faster. This is change by making.